I'm not crazy about mochi. I don't go out of my way to get it. When my cousin from out of town came for a visit, he told me that he really liked mochi. So, when we went to Uwajimaya in Seattle, he chose a few different kinds to sample. One of them was Royal Family's Mochi Choco peanut flavored. I've never had mochi like this before. 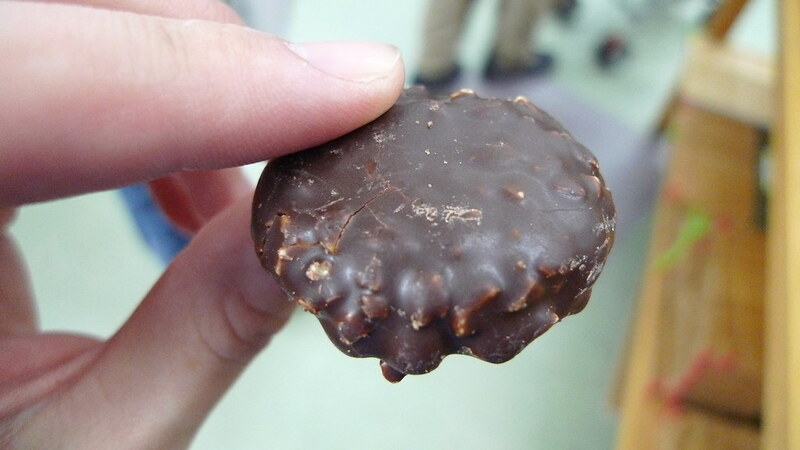 Typically, they come in little balls, but this was a flat disc-shaped snack. It's covered in chocolate with crushed almonds in it, and in the middle is peanut butter. 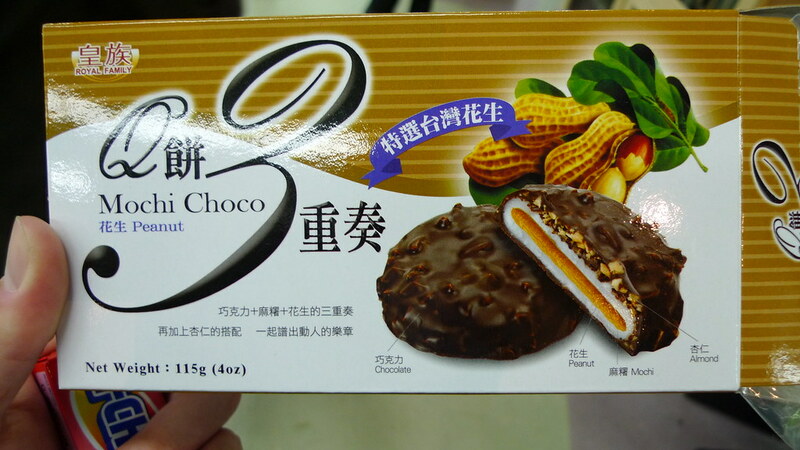 If you are a mochi nut, you might like this, though the quality of the chocolate was rather poor. 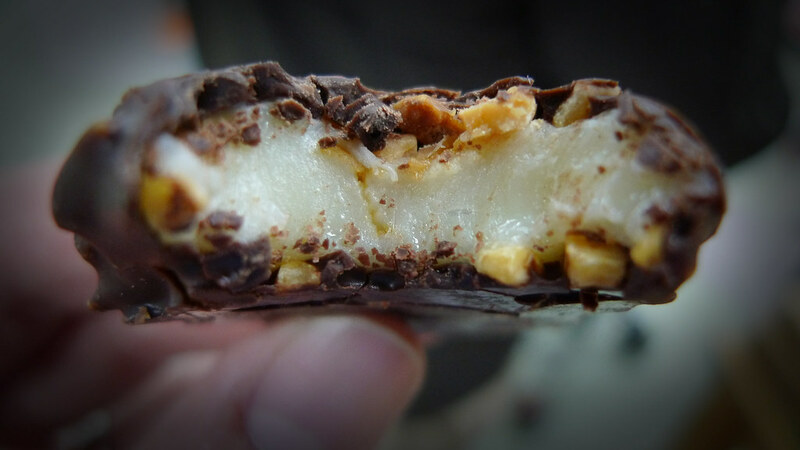 If you don't like mochi, this might not change your impression.